The Charles River Apparel Style 8936 Youth Pacer Pant is available in Youth Sizes S through XL. It can be purchased in your choice of the following colors: 010 Black and 040 Navy. 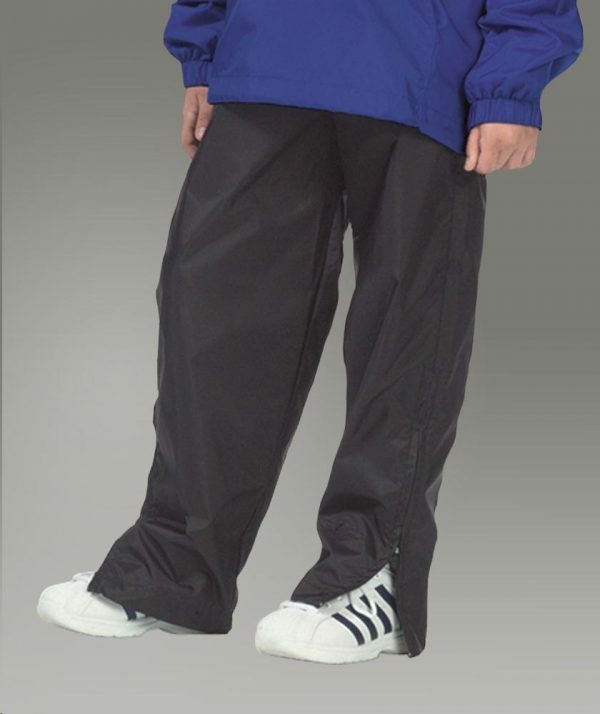 SKU: CR-8936 Categories: Basketball Warmups, Men's Basketball Warmups, Youth Active Wear, Youth Warm-up Pants, Youth Clothing, Youth Warmup Pants, Youth Outerwear, Purple Brands: Charles River Apparel. Wind & water-resistant River Tec? Nylon. Mesh-lined to knee, nylon-lined from knee to ankle. Elasticized waist. Side-seam pockets & back zippered pocket. Open hem with zippers for easy on/off. The Charles River Apparel Youth Pacer Pant can be purchased in your choice of the following colors: 010 Black and 040 Navy.